Artisan crafted jewelry is the essence of a one-of-a-kind accessory. Every piece is handmade and original. Because an artisan instead of a machine makes them, every piece of jewelry has a story behind it. 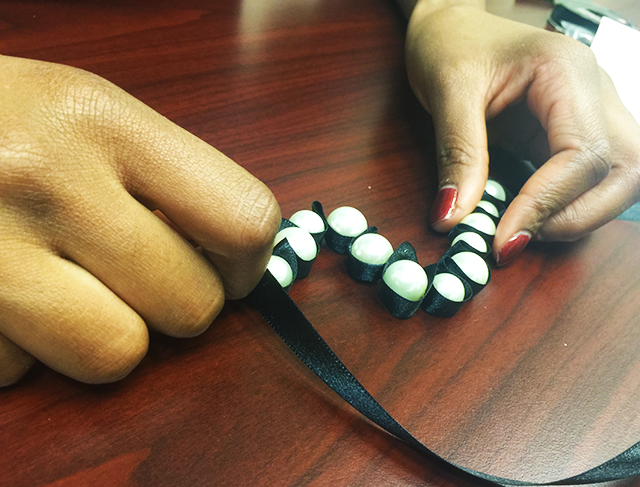 We want to give you the chance to be an artisan with this simple DIY bracelet. Create a fabulous piece of arm candy that features your personal style. What are you waiting for? Let’s get started! When choosing your materials, remember you can customize them to your liking. If you’re not a pearl girl, find beads that you love. Like a splash of color? Pick out a fun and flirty ribbon instead of a solid-colored one. 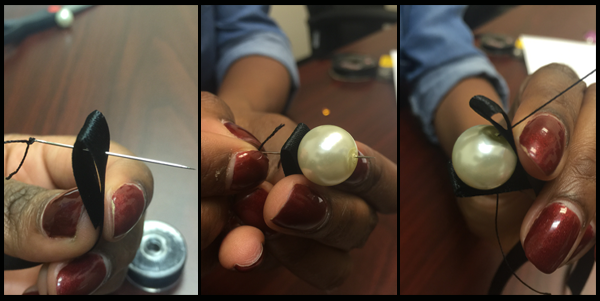 Once you have picked out your materials, start by threading your stretch cord through the needle. Depending on the size of your stretch cord, make sure you pick a needle with a large loophole. After your needle is threaded, sew through a fold of ribbon. 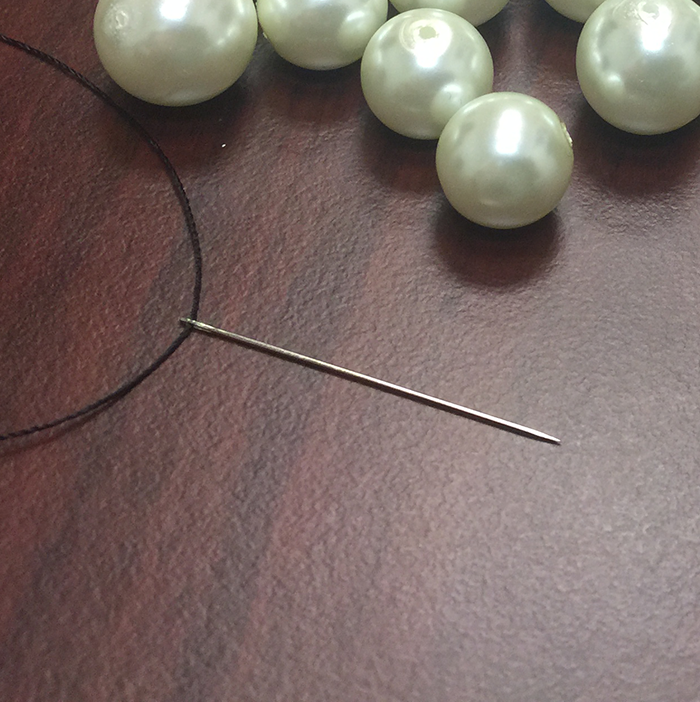 Next, sew through a bead and another fold of ribbon. Repeat this cadence until you have all of your beads strung or until you have reached a point that will fit your arm. Lastly, tie the ends of the cord ends together into a very secure knot. 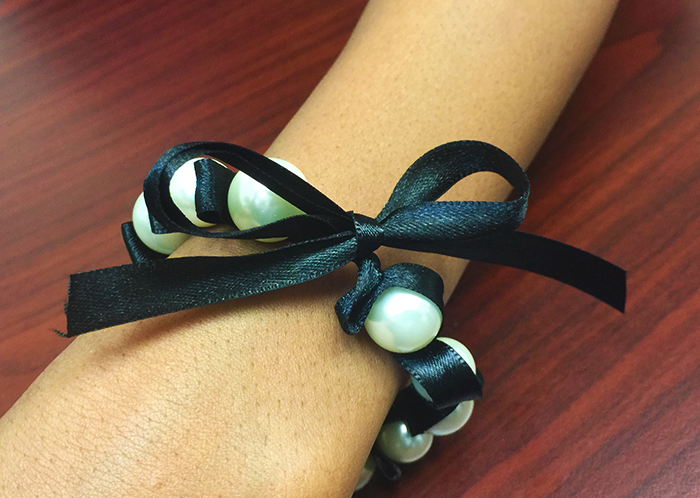 Finish it off by tying the ribbon into a pretty bow. Congratulations, you now have a one-of-a-kind piece of jewelry. You can also make different variations of this bracelet by weaving extra folds or using alternating beads. The possibilities are endless! Check out stunning artisan crafted pieces from the LC by tuning into the Artisan Crafted Show from 12 p.m. to 8 p.m. CT. Now you have the option of buying unique designs or making them for yourself. Enjoy!